William Pfeiffer is Executive Chairman and Co-Founder of Globalgate Entertainment. Pfeiffer is also Senior Advisor to Lionsgate. Pfeiffer is a pioneer of local-language film and television content production, distribution and TV channels. He has launched and built businesses worth billions of dollars. As Chief Executive Officer of Dragongate Entertainment, a feature film production and financing company launched in 2012 with backing from Lionsgate, Pfeiffer produces feature films in English and Asian languages and raises corporate financing as well as film financing. From 2008-2012, Pfeiffer was founder and Chief Executive Officer of Tiger Gate Entertainment, a partnership among Lionsgate Entertainment, Saban Capital Group, and Pfeiffer. The Asia-focused company launched three TV channels including action-oriented KIX and the genre film-themed Thrill. Tiger Gate merged with the Celestial TV channels in 2012, and Pfeiffer is a significant shareholder of the merged entity: Celestial Tiger Entertainment, that consists of 8 TV channels. 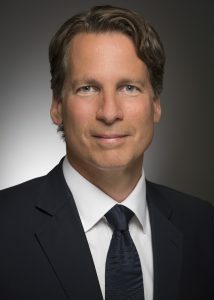 As Chief Executive Officer of Hong Kong-based Celestial Pictures from 2001 – 2008, Pfeiffer launched an Asian-content media company with worldwide entertainment assets in the motion picture, television, and new media industries. Celestial Pictures owns and distributes the largest Chinese film library, including the Shaw Brothers films. Under Pfeiffer’s leadership, Celestial produced new Asian-language feature films, including multiple award winners such as Perhaps Love and Wu Xia. At Celestial, Pfeiffer launched several television channels including Celestial Movies — the most widely distributed Chinese-language movie channel – and produced many successful TV series in local languages including Mandarin and Cantonese. From 1992-2001, William Pfeiffer was Sony Pictures’ most senior executive in Asia and was Managing Director, Asia, of Sony Pictures’ Columbia TriStar International Television and also Executive Vice President of Corporate Development for Sony Pictures. He initiated the launch into Asian-language feature film production that produced multiple award-winning films such as Crouching Tiger Hidden Dragon and Lagaan that achieved new heights in local-language production. Pfeiffer also spearheaded the launch of the production and distribution of over 3000 hours per year of local-language television programming in multiple languages in Asia, including Chinese, Hindi, Japanese, Korean, and Bahasa. He was founder and Chairman of the first local-language production joint venture between a Hollywood studio and a Chinese production company. He also was responsible for launching 20 television channels across the region under 8 brands, including AXN, Animax, and Sony Entertainment TV, a leading Indian- language group of TV channels. Prior to his appointment to Sony, Pfeiffer was The Walt Disney Studios’ most senior executive in Asia and was President of Japan and Managing Director of Asia for The Walt Disney Company’s home entertainment business and established its television production business in the region. Pfeiffer has lived in Asia for thirty-three years. He studied at the University of Notre Dame and Sophia University (in Tokyo) as an undergraduate and at Stanford University’s Graduate School of Business. He is a board member of several global organizations, including the Women’s Tennis Association, Avex International, and BAFTA (Asia).